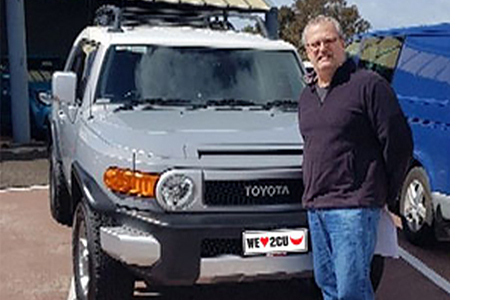 CMI Toyota is South Australia’s #1 Toyota dealer and have the largest range of used Toyota vehicles in Adelaide. 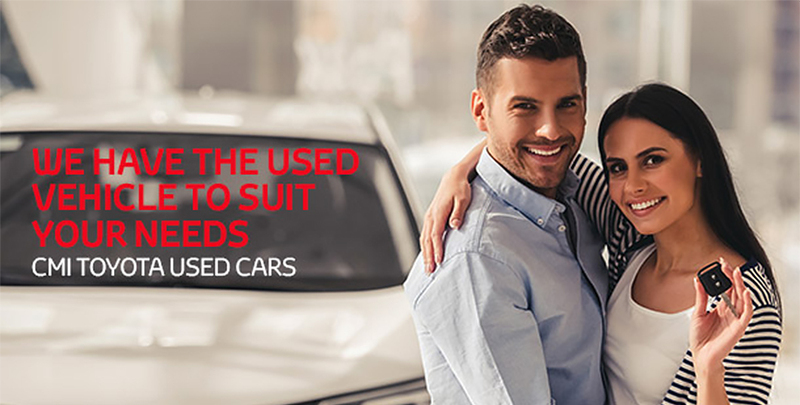 With more than 250 used cars in stock, you can be sure we’ll have a vehicle to suit your needs. Choose from our great range of used Toyota vehicles, plus other manufacturers including Mazda, Hyundai, Ford, Mitsubishi and many more. All our used vehicles must pass a stringent 96 point safety inspection so you can buy with total confidence. Visit one of our three big locations, Adelaide, Cheltenham and Christies Beach, view a huge selection of quality used cars including sedans, SUVs, 4WD, utes and vans. Our used car yards are accessible 24/7 or you can view our range online. If you choose to purchase a CMI Toyota Certified Used Car, you will also be eligible for our CMI Toyota Certified Used Car Advantages which include benefits such as 2 years extended warranty, capped price service, roadside assistance and free Toyota genuine floor mats. 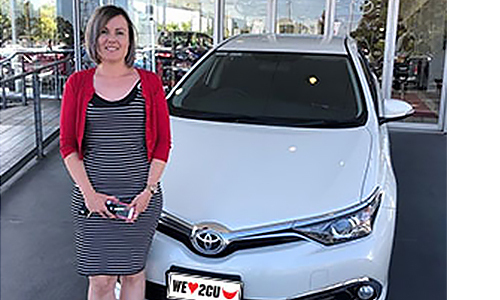 "Thank you Eddie, Kryssy and Scott for making the entire process of purchasing my new car so straight forward and hassle free. I am so glad I called you :) I am very impressed that I was able to pick up my new car within a week from this initial phone call. Second-time customer of Toyota and now hopefully a customer for life!!! The service and customer experience has exceeded my expectations." "I have purchased many cars over the years and this would be the best experience I have ever had. The personal service received from Blake, Ben and Lucy was exceptional. 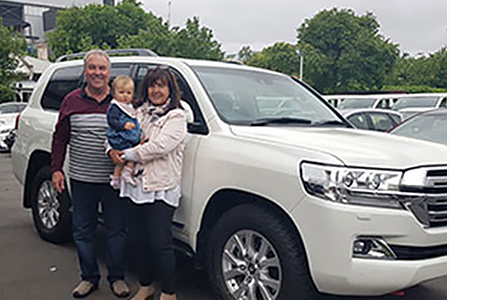 To have left the dealership felling as though we have made new friends was a very pleasant result. Thank you also for the gift pack. Jonno and Phil did very well. Thanks to you all." "Helpful & Friendly without pushing too much on the hard sell. I take comfort from CMI having a great reputation and the need to uphold it. I am confident they will look after me throughout the stat warranty period and hopefully beyond."